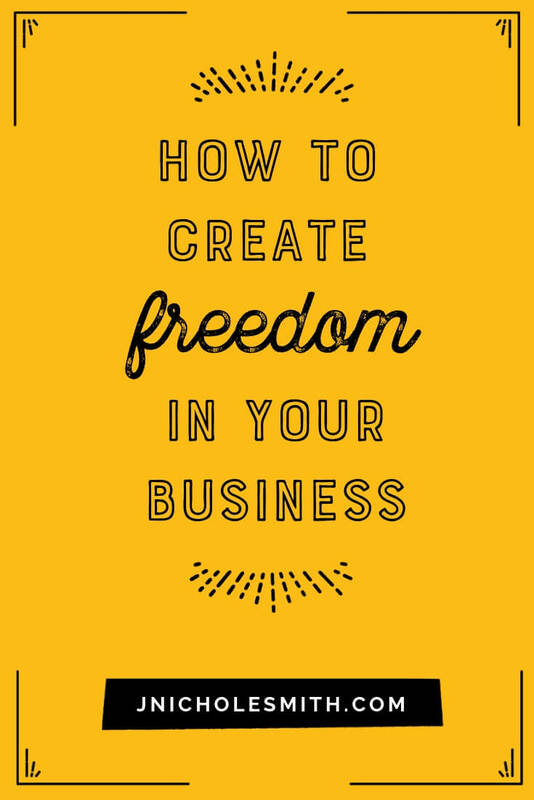 Learn how to separate yourself from your business so you can have more freedom! 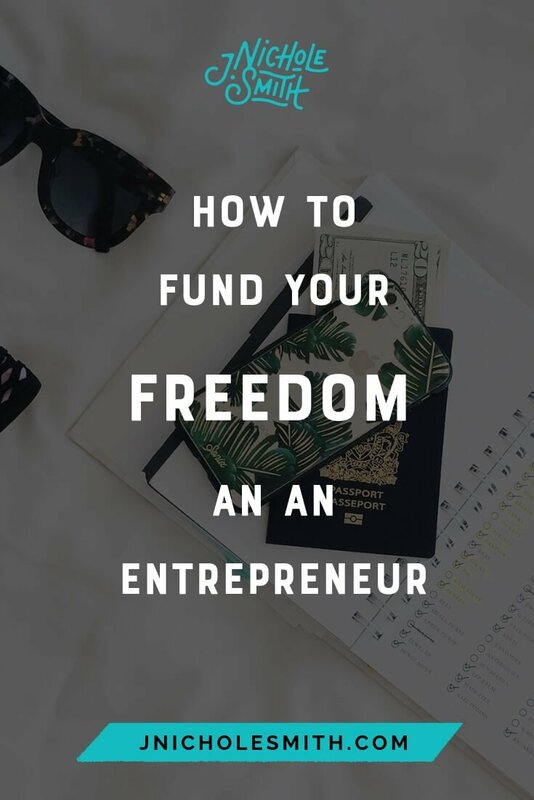 Today I wanted to talk to you about the fourth stage of finding freedom and fulfilment as an entrepreneur, which is all about funding your freedom. My years as a branding and marketing strategist have led me to the conclusion that there are basically four seasons, from just starting out as an entrepreneur, to being a business owner who actually has freedom and fulfilment. Now, not everybody gets there because it’s not quick and it’s not straight-forward. But today I want to talk to you about the final stage of finding that freedom and fulfilment, how to fund your freedom – stage four. Your business is not your baby. This is a lesson that’s really hard-learned and takes some time. But by the time you’re in stage four and you are ready to find that freedom and spend more of your valuable time doing what you love, then you’re going to be ready to have these conversations. If you’ve earned some really good money in your business and you’re able to invest that money, you can use that money to essentially continue to pay for your lifestyle without having to work the same amount of hours. You can do things like investing in property, purchasing other businesses, investing in other businesses, and even potentially living off the interest of capital gains. Money is a great way to be able to extricate yourself from the daily life of your business while still being able to stay in the lifestyle you’ve become accustomed to. The next area where you’re going to be able to buy your freedom is through people. Being able to get people in your business who can replicate and do the work that you’re doing now is critical. This is something most of us entrepreneurs resist for a long time because nobody can do it like we do it right? Not True. You’re going to be able to find people who can do it great, and they can improve on what you do. If you can let go enough to be able to train and get those people working for you in a way that allows you to have more time to yourself all the better. What happens here, is this creates a scalable model where you can lift yourself out of the business a little bit and rely on other people in many ways to go out and do the great work that you’ve been doing. This might be hiring people below you to do your job. It might include something like franchising. We’re actually licensing this brand or business model to other people and they’re just giving you a commission. There’s tons of ways that people can be your key to freedom. The third piece is looking at products that you sell and changing those products up. So for a lot of the entrepreneurs that I work with, this is about offering different revenue streams besides just service based products. So if right now you’re someone who is trading dollars for hours and there’s nothing else you sell, you have an opportunity to create products that don’t require you to show up in order to get paid. Although they’re not necessarily totally passive. These are things that you can take your intellectual property or your expertise or your special formula, whatever it is that you’ve got and create products that people can buy without needing you to show up to get paid hour by hour. This is a really important transition if you are a service based business that will allow you to build wealth and to retire and to create a scalable business model that is not reliant on your time, thus allowing you to get a lot of that time back. It’s also something that makes it much easier for you to hire people to help with the distribution or the growth of that business because it’s not as reliant on you being there all the time. It’s simply about creating a sales funnel and driving people to these passive income products. So these are things that even if you’re in stage one or two or three right now of growing your business or crafting your brand or growing your brand, you’re going to want to keep an eye on because ultimately your goal should be to fund your freedom. If you want to experience that freedom, if you want to feel that fulfilment and live your life in addition to being a successful business owner, these are things you should be thinking about. Now. It’s a great way to keep your focus looking forward, and it also makes the work you’re doing now. Not quite seem as hard because you’re looking further down the road. If you want more free resources to help you work through this, visit us over in our Private Facebook Group . This is a place where we have conversations all the time about topics like this and support #enchantedrebels like you who want to find freedom and fulfilment by building brands, instead of just businesses.